Single-origin, bean-to-bar, dark, milk, ganache, bonbon: Craft chocolate in L.A. takes many styles and forms. 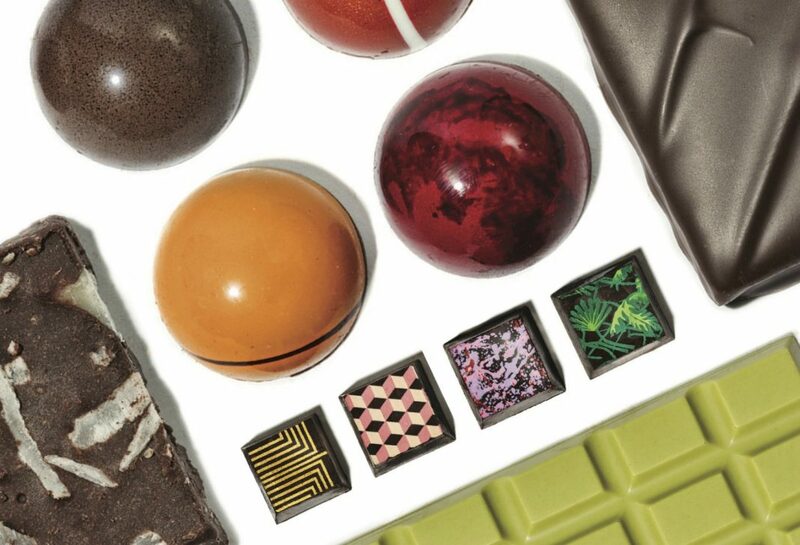 Uniting them all, though, is a growing wave of artisanal chocolatiers focused on creating treats that look as exquisite as they taste. Valerie Gordon, whose pioneering Westlake shop, Valerie Confections, debuted in 2004, now sells velvety truffles and chocolate-dipped toffees sprinkled with fleur de sel at three locations across town. Jonathan Grahm of Brentwood’s Compartés offers an array of brightly packaged bars that are speckled with everything from rose petals to breakfast cereal at his Wonka-esque Century City store-front (which is outfitted with an appropriately whimsical chocolate fountain). At Letterpress Chocolate in Beverlywood, David and Corey Menkes transform raw cacao beans meticulously sourced from farms in Ecuador, Ghana, or Peru into complex single-origin creations; at ChocoVivo in Culver City, self-taught chocolatier Patricia Tsai follows a similar model of sustainability when it comes to her rustic cacao-based goodies. Kriss Harvey, former pastry chef at the Bazaar by José Andrés, is leading the charge at andSons Chocolatiers, a soon-to-debut confectionary specializing in sparkly melt-in-your mouth bonbons, while Milla Chocolates, a pop-up-turned-boutique run by art world alum Christine Sarioz, is making a name for itself with elegantly wrapped praline bars, candied fruits (she handcrafted the orange slice on our cover), and caramelized nuts enrobed in spice-accented coatings.